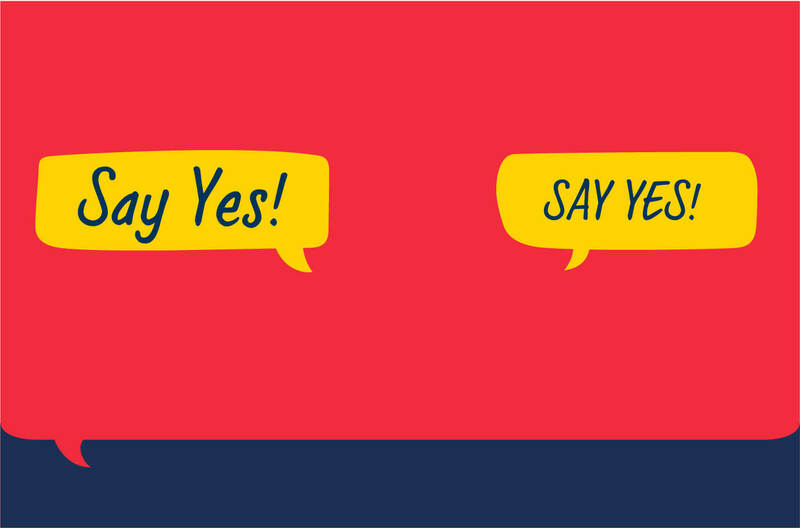 We have an exciting new project at Wall Street English called Say Yes! It is based on a message of Saying Yes to speaking English and Saying Yes to learning in a supportive environment like ours. We want to inspire people everywhere to learn English at Wall Street English, saying ‘Welcome’ to new students, saying ‘Welcome Back’ to returning students and saying ‘Thanks’ to those who stay with us. The idea for ‘Say Yes’ came from the the world of sport. In every kind of sport, players and athletes are determined to fight against the odds, to participate, challenge each other, and win. And everyone around such as supporters and sponsors, push the individuals to be faster and greater, and to find the full potential to reach their objectives. At Wall Street English, we believe that learning a language is also about taking up a challenge and taking a risk to do something new and perhaps difficult for you. If you’re serious about learning and you want to put in the energy, you’ll see the results. If you’re determined to change your future, and you want to do great things, then Say Yes! Say Yes and give yourself a chance. And when you do, we’ll be there to support you and guide you. ‘Say Yes’ is a simple but powerful way to explain what is great about Wall Street English. About why we are the best English language partner for determined, enthusiastic students like you. That’s why we call ‘Say Yes’ a communications platform. It’s not just a campaign but a way of thinking and communicating. We want you as our students to feel confident and positive when you Say Yes to learning English. Learning by active participation and having fun! Switzerland, Italy, Korea, Colombia, Venezuela, Chile and Thailand have already launched ‘Say Yes’, and in the following weeks more countries all over the world will go live exciting new creativity. So, if you haven’t already done so, check out Our Method and Our Courses to see how you can Say Yes to learning English at Wall Street English and join over three million people who have already said Yes to being part of our community and have achieved their goals! Take our Course Finder test to see what’s the best course for you!